As a traditional building material and traditional window design, timber vertical sliding windows have been around for centuries. However, it’s their timeless appeal which has allowed them to enjoy such a lengthy period of popularity, meaning they’re still regularly found on homes today. 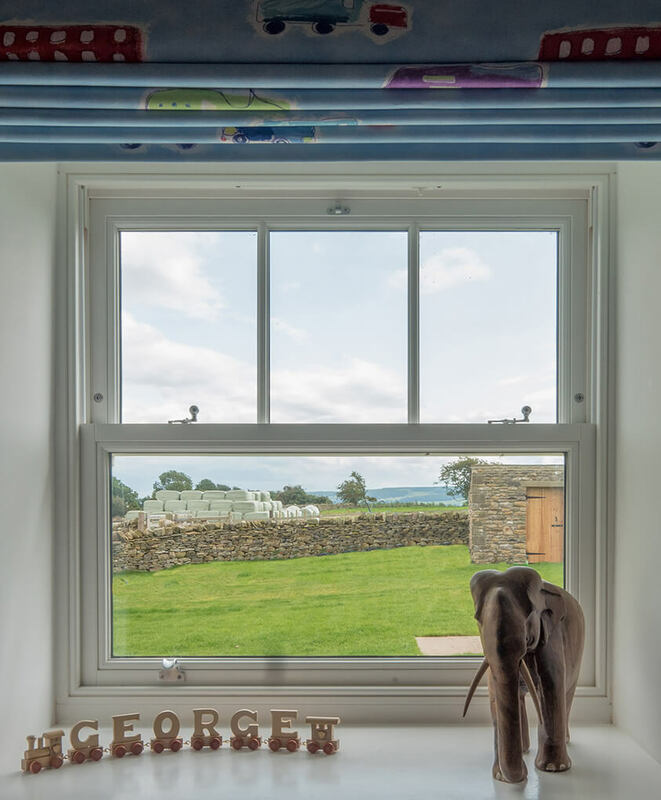 Having undergone some updates to bring them in line with modern levels of performance, our timber vertical sliders, supplied by George Barnsdale, offer the best of traditional design and contemporary levels of security, noise reduction and thermal efficiency. Available with an inward tilting facility, ease of cleaning is on offer as well. Thanks to their sumptuously slender sightlines, they’ll allow plenty of light into your home whilst letting you enjoy uninhibited external views. 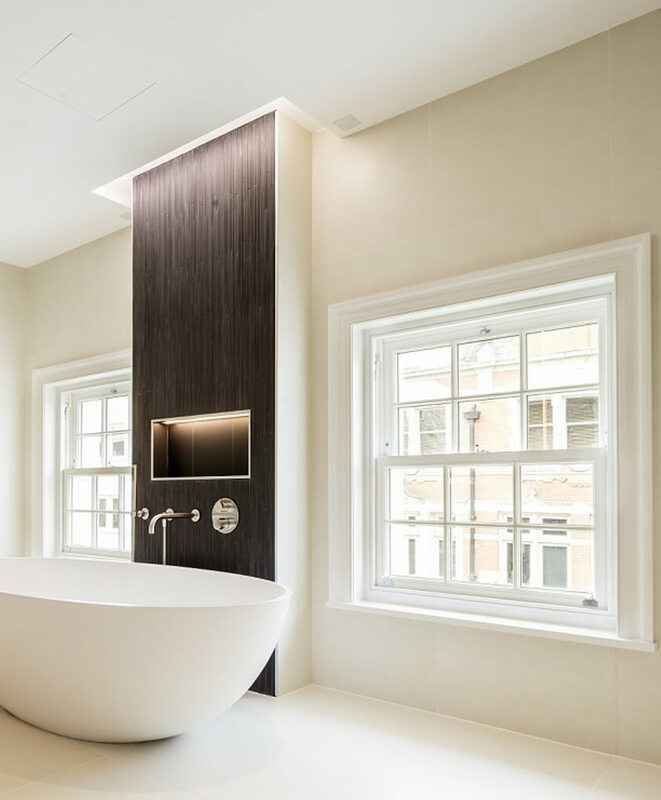 And with a number of window layouts to choose from – square bay, angled bay and bow to name a few, they can be highly customised to suit your aesthetic desires. 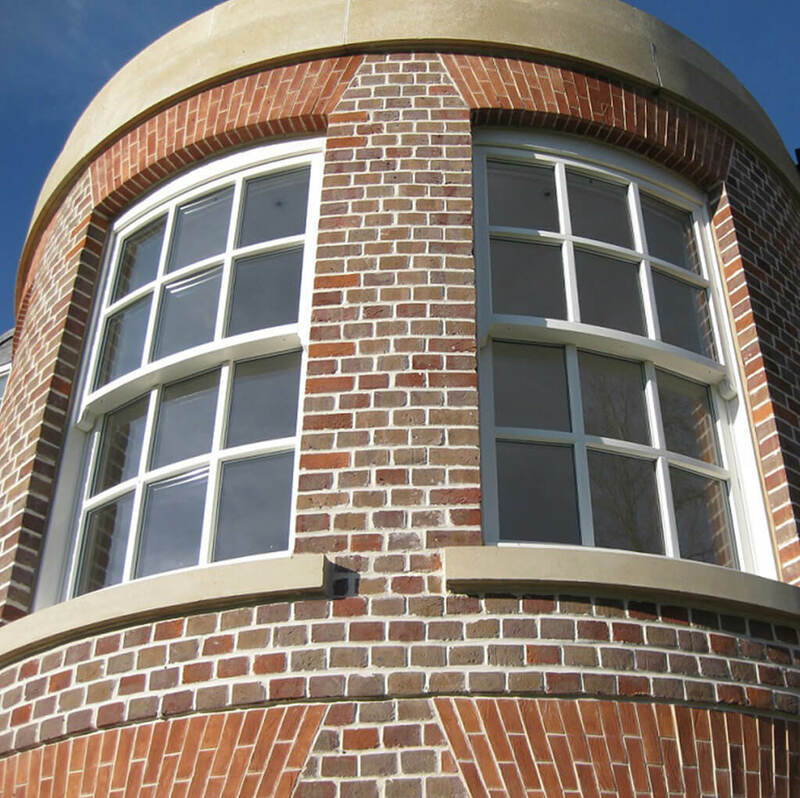 Astragal and glazing bars can be incorporated onto the window design, accurately replicating a traditional aesthetic. Fitted with high quality hook fasteners and sash stops as standard, rest assured that the levels of security are extremely rigorous. Featuring concealed, air-tight weather seals, their resistance to the weather is nothing short of exceptional. 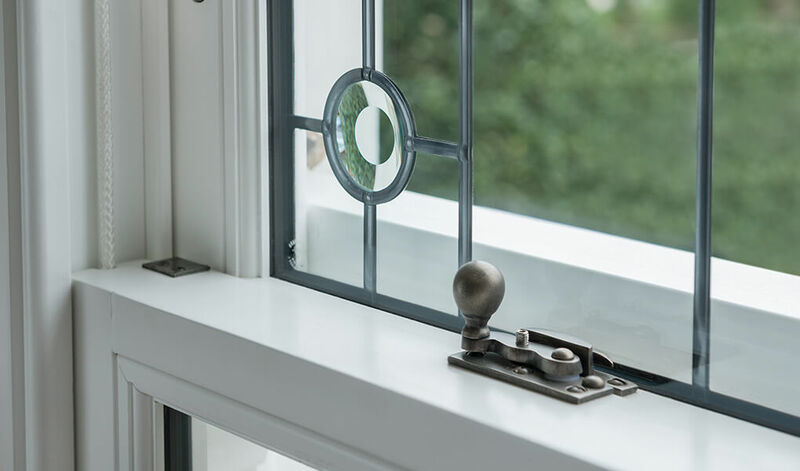 The frame linings of the window, traditionally a vulnerable point, have been reinforced with Accoya® timber linings for a serious durability boost. 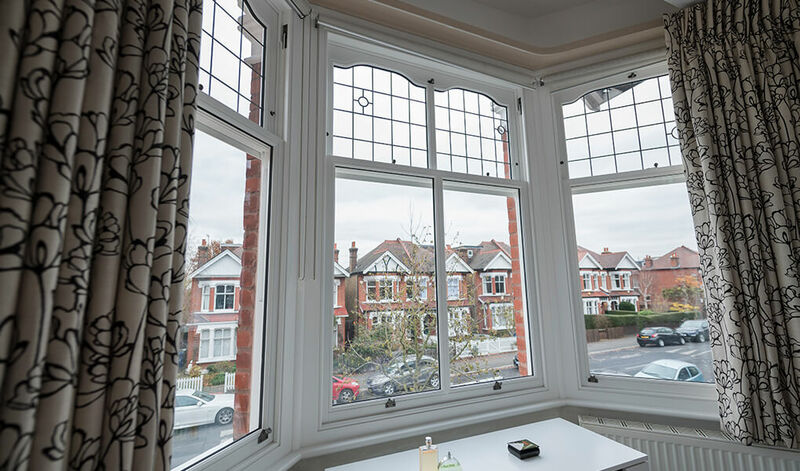 Utilising expert craftsmanship that has been continuously refined for over a century, the quality of wooden framing used on our timber vertical sliding windows is truly astounding. 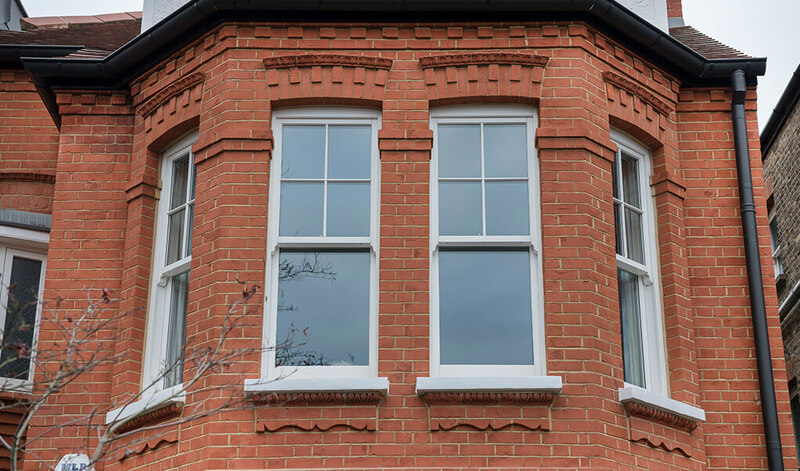 However, T&K also provides them with exceptional uPVC framing. Customise your new windows with finely crafted furniture, which are available in a range of finishes. The choice of finishes includes, but is not limited to, Brass, Pewter, Bronze and Chrome. Whichever you opt for, rest assured that the finish is nothing short of exquisite.